Poor Mindanao kids. Do you care? 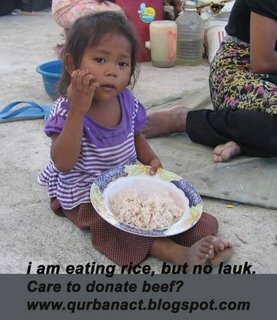 For further information, please visit http://www.qurbanact.blogspot.com/. Sasaran: 200 ekor lembu @ 1,400 bhgn. Yeah. Guess how lucky we are.